Embossing involves creating a three-dimensional raised-up image or design, while debossed materials have the required design pressed into them, so that the resulting image is indented below the surface. During the embossing process, a sheet of paper or other suitable material is sandwiched between a set of male and female plates (known as hot foil dies). The female plate has the required text or imagery etched into it, while the matching male plate has the same design sunken. When the paper is put between the two plates, the image is pushed up from the surrounding flat area (known as the substrate) and an embossed design is created. Blind embossing is the simplest application of the embossing process. It simply involves creating a raised-up design, with no added ink or foil to enhance the image. However, there are many different effects that can be achieved in combination with embossing. For example, hot stamping foils are often used to create a shiny, metallic embossed finish. This is sometimes known as combination embossing. Debossing creates the opposite effect to embossing. It is achieved by using a significant amount of pressure to push an image into a material, typically leather or thick card. The result effect is very fashionable and is used by many high-end brands as a sign of quality and prestige. Like embossing, debossing can be done blind, or in combination with other finishes. What materials can you emboss or deboss? Embossing generally works better on paper stock, while debossing is better suited to thicker materials. It is technically possible for designs to be raised (embossed) from leather, but it’s a tricky process that involves a metal set of plates and filling the raised design with resin to maintain the 3D image. A more successful way of achieving this look can be to deboss the background, leaving your logo at the original material height – thus giving a raised effect. 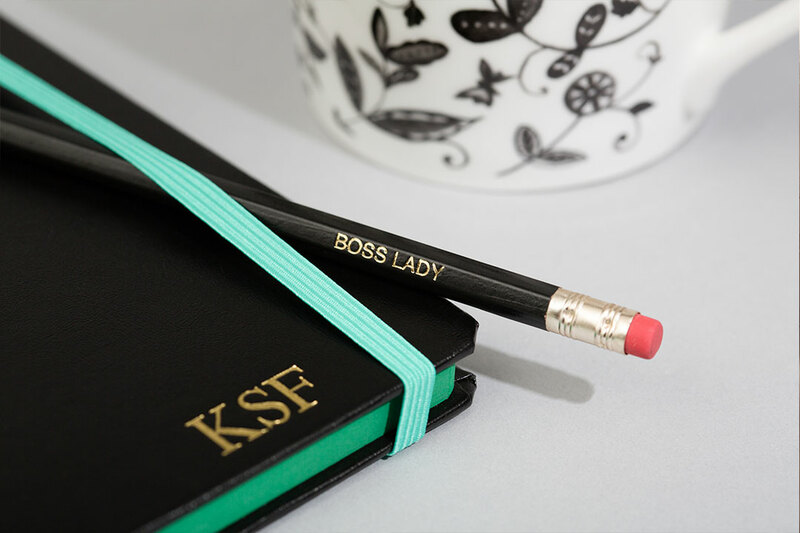 Why offer embossed or debossed products to your customer base? Embossing and debossing are both simple techniques that can be achieved relatively easily, using the right equipment. 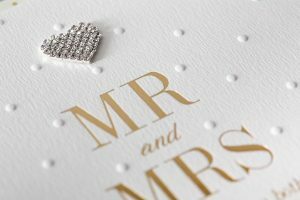 Embossed and debossed products have a classic, timeless appeal and you can add an instant lift to any product, including wedding stationery, product labels, business cards and leather gifts. 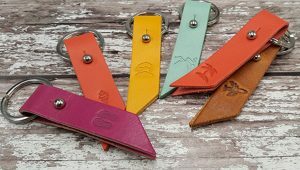 Offering personalised embossing and debossing services with a range of finishes is also a popular move if you are targeting high-end clients. Metallic Elephant is a boutique manufacturer of hot foil printing and stamping equipment. If you’re looking for advice on the process of embossing and debossing or need a particular piece of kit, get in touch on 01206 251221 – we’d love to hear from you!